Description: Using a focused white light souce and a prism, a visible light spectrum is projected. due to the fact that the index of refraction of the prism varies slightly with the wavelength. Position in the class so the rainbow is on the screen. Adjust the slit until a nice pattern is displayed. Turn on the overhead projector. 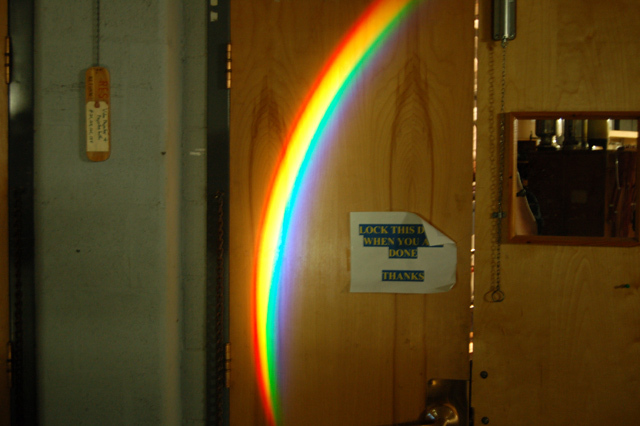 Note that white light when refracted through a prism creates the dispersion curve seen (rainbow). Note that it is a continuous spectrum. 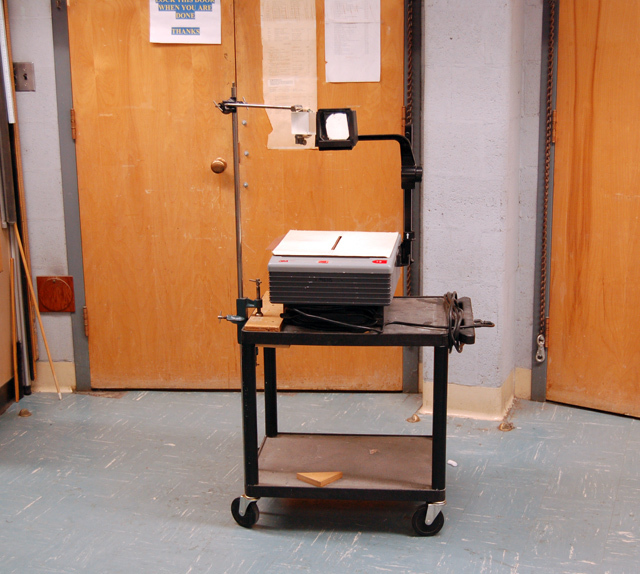 When finished, turn off the overhead projector.